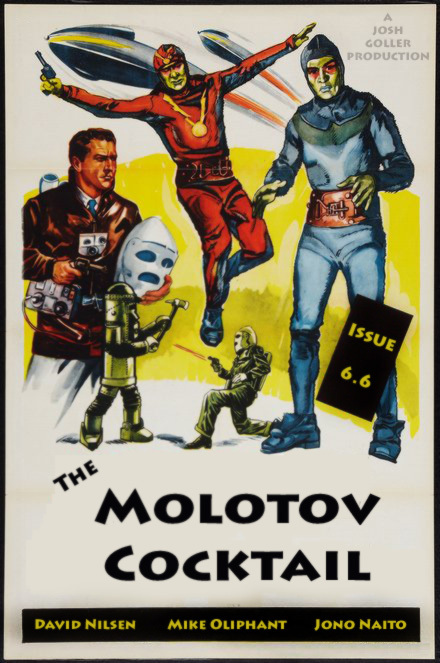 Issue 6.6 gets shot into space and comes back different, hits a gas station without thinking twice, and sharpens a knife on the whetstone tied around its neck. Keep an eye on your inboxes for Flash Fury contest results, which should be posted by July 14th. Our next issue will feature the contest winners and honorable mentions. And we’ll soon be putting together a print anthology of all the contest winners from the past year. A poetry contest is in the works, and we’re only a few weeks away from details about the second annual Flash Monster contest.